A Belgian man has run his way into the Guinness Book of World Records by accomplishing what no other athlete on earth has managed to accomplish: running a marathon for every single day of the year. Stefaan Engels, 49, accomplished his mission in Barcelona after having completed marathons all across Europe, and North America. The Guinness Book of World Records claims that the previous record for most marathons run on consecutive days was 52, achieved by Japanese runner Akinori Kusuda in 2009, followed by comedian Eddie Izzard who ran 43 marathons for the Sport Relief charity in 2009. 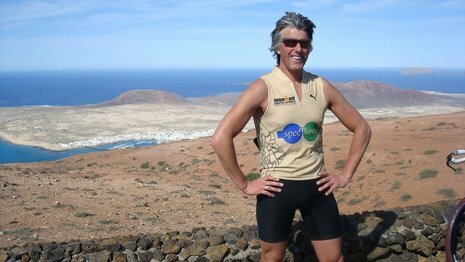 The man with the stamina of a horse, Stefaan Engels, already holds the record for most Ironman Triathlons in a year after completing 20 in 2007 and 2008. He started marathon running 20 years ago, when he was still in his 20s and says he will continue to remain dedicated to the sport for years to come.